-to use the same color palette again and again, with named colors to identify which goes where. -have to replace a color with another. Doing it manually on each frame is very tedious, so a way to automate that would be very useful for animators. Also, this could be useful to a smaller extent to single images. Note that here we're talking about flat color areas without any anti-aliasing, so it should be "easily" possible to replace a color. -associate a palette to a file, so this palette would be automatically loaded in the palette selector for one document. People can still use other colors, but those will not be possible to replace automatically. -add a few options in the palette docker to: display colors in a vertical list with their names next to it, add a way to name a color when adding a color to the palette, and add a way to replace an existing color while keeping its name. -when user changes an existing color from the palette, all the areas in the document using this exact color will get replaced by the new color. timotheegiet added a subscriber: Bollebib. I'd like to weigh in some of my thought about this feature. This would be extremely useful not just for animation but also for pixels and sprite art(palette swaps, for instance)! My workflow as of the moment involves making use of the similar color selector (with selections hidden so i can see better) and a shortcut set to fill + the HSL filter. Just having a slider to change a single color would be immensely useful! I hope you consider this suggestion! 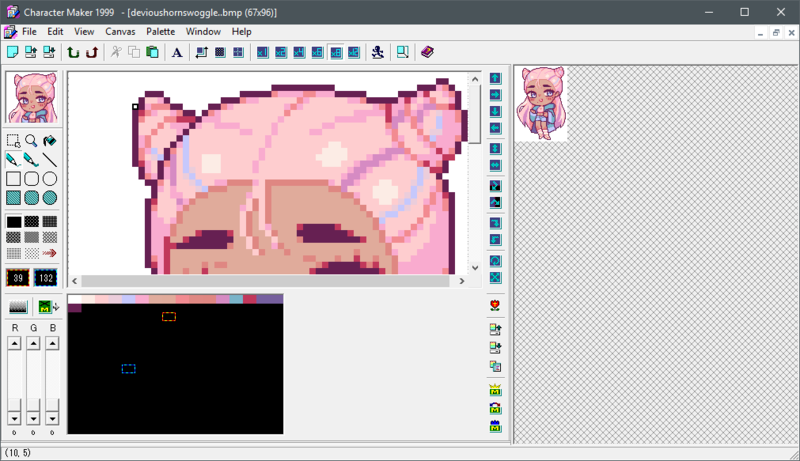 I am aware the Krita is not made for pixel art but seeing that it could have applications in other aspects makes it worth a try to suggest anyway. That seems like it would be a good usecase as well . And it would probably work the same. As long as Palette colors can get a custom name (like skin,eyes,hair....) to mark them correctly. And can also switch to a swatch view like in the picture.